Functions are activated or utilized easily by one-touch controls. 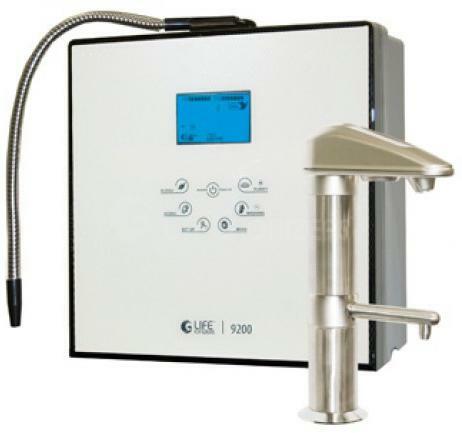 Life Ionizer 7000 under the counter water ionization system is ideal for drinking water, cooking, and replacing expensive and often unhealthy bottled water with living, healthy ionized water for every day use. With this full-featured under the counter model, ionized water for your home or office is now affordable, accessible, and convenient for everyday use. Functions are activated or utilized easily by one-touch controls. (Patent obtained). 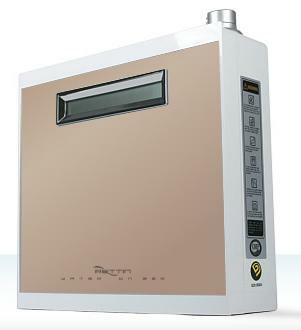 Life Ionizer 7000 has a cutting edge under sink design that many customers have been seeking. 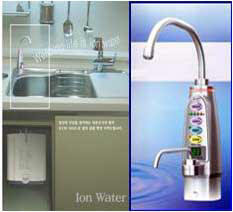 Its unique and innovative under sink main body and countertop spout lets you get both alkaline and acid water through separate outlets. Other under sink models only provide alkaline water at the sink and then channels the acid water to the cold water run off drain under the sink where it cannot be accessed. Another problem that the Life Ionizer 7000 avoids is the need to mount the ionizer above the cold water line under the sink. It can be placed anywhere under the sink even on the floor. This makes it easier to install, and you can install the Life Ionizer 7000 even if you have very little space under your sink. We love the design of this system and we believe that you will to. It has a sleek look that will impress your neighbors. You save up to $500 with this undersink model when compared to the Life Ionizer 8000. However the Life 8000 is more powerful and can produce more water per day. Replacement Filter life The first will last about 8 months (620 gallons) and the second 12 months (920 gallons) at 2.5 gallons of use a day. Life Ionizers have the most comprehensive pre-filters available on the market today. Each unit has two built in filters totaling 12 stages of filtration/treatment. Preserves the beneficial alkaline minerals and removes unpleasant taste and odor from water. For every 10 liters of water that passes thru the system, the L-7000 enters self-cleaning mode when turning off the system. 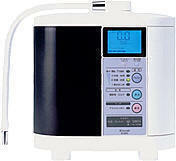 While the system is on even after 10 liters of water passed thru the system, the self-cleaning function does not start. In case of present L-7000 system self-cleaning mode, water does not come out from the faucet when the water supply to the system is cut. 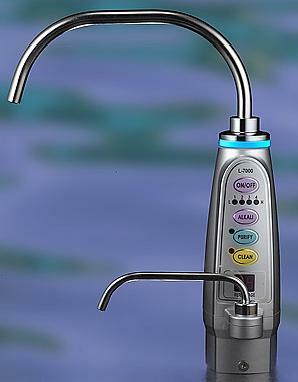 While the system is in the self-cleaning mode, water comes out from the faucet for several seconds even though the water supply to the system is cut. The process is designed to store more densified acidic ionized water in the electrolysis chamber so that electrodes will be cleaned more efficiently.